The NYSEA Cold-Shot Challenge (the “Contest”) begins January 4th, 2018 9:00am Pacific Time (California) Time (“PT”) and ends on March 31, 2018 at 8:59pm PT (the “Contest Period”). Contest is sponsored by Clif Bar [1451 66th St Emeryville, CA] (“Sponsor”), and administrated by NYSEA Productions Inc– [ 218 E. Park Ave, Long Beach, NY 11561 ] . These are the official rules (“Official Rules”). Eligibility. Contest is open to amateur and professional photographers who are legal U.S residents, physically residing in the United States, and are the age of majority in their home state as of the start date of the Contest, and who have Internet access prior to the Contest start date, and who have physical access to beaches and coastline in the states of New Jersey, New York, Massachusetts, Maine, Rhode Island, North Carolina, Virginia, Delaware, and/or New Hampshire. This Contest is void outside of the United States and wherever else restricted or prohibited by law. Employees, shareholders, officers, directors, agents, representatives of Sponsor or Administrator (collectively “the Releasees”), the legal, promotion and advertising agencies of Sponsor, and their immediate family members and those living in their household, and each person or entity connected with the production or administration of the Contest, and each parent company, affiliate, subsidiary, agent and representative of any aforementioned entity, are not eligible to enter. Purpose. The purposes of the Contest is to showcase and capture the beauty and diversity of the Cape Hatteras, NC to Maine shoreline (the “Photo Territory”) and the surfers who love it. Contestants may enter photos in three categories. Category 1: Land. Images submitted must be of the Photo Territory, with or without surfers. Photo must be taken standing above sea level in the photo territory. Category 2: Air. Images submitted must be of the Photo Territory, with or without surfers and from an FAA registered drone piloted by a FAA licensed pilot in FAA approved airspace or from a tall building. Photographer must have an FAA registered drone, fly strictly in FAA approved airspace, and have a current remote pilot certificate issued by the FAA. Category 3: Sea. Images submitted must be of the photo territory with or without surfers. Photographer must be at or below sea level or on a vessel. Screen grabs from video are only allowed in Air and Sea Categories when a RAW file does not exist. Sea category screen grabs must be from a camera on a surfer’s board or person. Original video must be time stamped during contest dates and available upon request. RAW files must be available upon request for all Land category submissions. How to Enter. There are three ways to enter your photo (your “Submission”) in the Contest, but all Contestants must be registered members of NYSEA. Your Submission must conform to the Submission Guidelines outlined in these rules. To enter as a registered member of NYSEA, you can simply log in to your account and upload your photo (your “Submission”) using the SUBMIT A PHOTO link. To register, go to NYSEA.com and create an account. You will be asked for your user name and email address. Once your account is created, you may click on the SUBMIT A PHOTO link and follow the instructions. You may also simply click on the SUBMIT A PHOTO page and you will be prompted to enter your username and email address; you will receive an email containing your log-in credentials and a temporary password. No other methods of entry will be accepted. All Submissions uploaded by the end of the Submission Period that are complete and otherwise qualified will be eligible to win. Sponsor reserves the right to disqualify any Contestant it finds to be tampering with the entry process or the operation of the Contest or violating these Official Rules. Contestants discovered entering under several names will be disqualified. Any submission of robotic, automatic, or programmed entries, or any entries submitted through other unapproved methods are void. Sponsor reserves the right to disqualify false entries or entries suspected of being false or fraudulent. Sponsor is not responsible for incomplete, late, lost, delayed, damaged, misdirected, incomplete, void, corrupted, garbled, illegible, or unintelligible submissions and those Submissions are void and will not be accepted; nor is Sponsor responsible for any problems, bugs or malfunctions Contestants may encounter when seeking to enter their Submissions. Contestants are solely responsible for compliance with the Sponsor’s terms and conditions. Submissions must be in JPG format no larger than 8mp. If source/original image is larger than 8mp it must be presented upon request to verify it meets all rules/requirements listed in Submission Guidelines. All Photos must be taken within the contest begin and end date. All entries with surfers must show the surfer catching a wave by using his or her own two hands. No jet ski assists or any other mechanical assistance may be used by the surfer to catch the subject wave. Please no watermarks. The Submission will be posted with the username of the photographer. Submissions cannot depict, and cannot itself, be in violation of any law. Sponsor reserves the right to exclude any Submission that it believes doesn't meet the above criteria, at its sole discretion. Submissions generated by script, macro or other automated means are void. Released Parties (as defined below) are not responsible for lost, late, stolen, damaged, incomplete, invalid, un-intelligible, garbled, delayed or misdirected Submissions; all of which will be void. 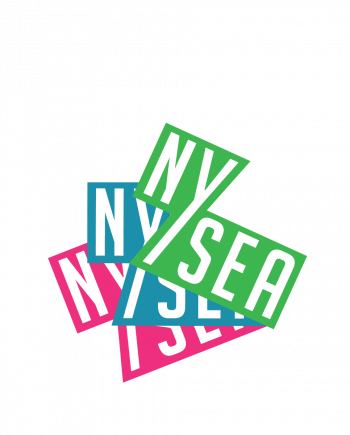 In the event of a dispute as to any Submission, the authorized account holder of the email address used to register the NYSEA account and used to enter the Contest will be deemed to be the Contestant and must comply with these Official Rules. The "authorized account holder" is the natural person assigned an email address by an Internet access provider, online service provider or other organization responsible for assigning email addresses for the domain associated with the submitted address. Each Selected Contestant may be required to show proof of being an authorized account holder. Judging Criteria. Judging will be completed in three rounds. The first round is a screening round, and Sponsor will screen shots based upon appropriateness of Submission as outlined in Section 5 of these Official Rules, and under the judging criteria below. All qualified screened Submissions (“Qualified Submissions”) will move to Round 2. 12 Semi Finalists from each Category AND defined territory (Mid Atlantic NC/VA/DE, NorthEast NY/NJ, and New England RI/NH/ME) will advance to the final round of judging, 108 semi finalists total. All Qualified Submissions must receive at least 70%. In the event that no final Qualified Submission receives a minimum score of 70%, a prize will not be awarded. Selection and Notification of “Selected Contestants.” On or about April 15, 2018 Selected Contestants will be contacted by a representative of Sponsor using the information submitted during the entry process. All Selected Contestants will be required to respond as directed to the email notification within 72 hours of attempted notification. failure to respond timely to the notification may result in forfeiture of the prize and, in such case, Sponsor may selected a Contestant with the next highest score. Each Selected Contestant may also be sent an affidavit of eligibility / liability / publicity release (“Release”). Unless restricted by law, each Selected Contestant will be required to complete and return the Release within the time period specified therein. An alternate Selected Contestant may be chosen, from among the remaining eligible Contest Contestants if a Selected Contestant: (i) cannot be reached; (ii) fails to obtain all signatures on the Release and to return the documents in a timely manner as required pursuant to these Official Rules; (iii) or cannot accept or receive the prize for any reason. Prizes. Three Prizes will be awarded. The Selected Contestant in each category. The five (3) Selected Contestants from all Sponsor Regions will each receive a prize of $2000.00, payable by check. Total retail value of prize: $6000.00. License. During the duration of the contest, By entering, Contestants are granting NYSEA and Sponsor and its affiliates a worldwide, royalty-free, perpetual, unrestricted, irrevocable and fully sub-licensable right and license to consider, display, re-post, disclose, use, re-use, reproduce, modify, digitize or enhance, adapt, change, publish, translate, create derivative works from, distribute, re-distribute, publicly perform and/or display Contestant’s Submission (in whole or in part) and/or incorporate all or part of the Submission in other works, all in any form, format, media or technology now known or later developed or invented. Contestants will not be paid for their Submissions, or for granting Sponsor any of these rights. Additionally, while Sponsor will seek to post the Submission in the form as provided at the time of entry, Contestants agree that due to technical limitations, Submission may be altered from its original form. Sponsor shall have no liability as to posting of Submissions. By entering the Contest, Contestants agree to waive all claims to and shall receive no royalties of any kind now or in the future from Sponsor for use of their Submission and represent and warrant that no other party is entitled to claim royalties from the use of the Submission as set forth in these Official Rules. Contestants may not resell, assign or transfer any of their rights under these Official Rules. Publicity. NYSEA and Sponsor reserves the right to use the Submissions to the Contest for publicity purposes prior to or after the Contest end date, in any media (including on websites, in social media, and in print media), and to use the name, likeness, and hometown name of any Contestant, including all or part of Submissions throughout the world, without any compensation or prior review unless specifically prohibited by law. Official Rules. For a copy of these official rules, please log in here until 90 days after the end of Contest. Copyright © 2017, Clif Bar, Inc.. All rights reserved.